Global Gift Gala Dinner with Eva Longoria, Robin Thicke at VIP Room; Cognacs Rémy Martin hosted the hottest tickets, last Sunday night in Cannes Film festival. On May 19th, 2013 Rémy Martin started the night with Global Gift Gala dinner at Carlton hotel, in partnership with NIKKI beach where “Rétrospective” Collector set was auctioned. Dinner was presided by Eva Longoria and Ella Krasner to benefit the Eva Longoria Foundation and Children for Peace, in presence of Amaury Nolasco, Dita Von Teese and French designer Alexis Mabille. 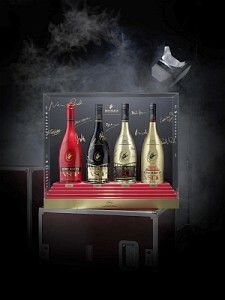 Rémy Martin « Rétrospective » Collector Set, the first lot to be auctioned was purchased by Eva Longoria herself for 12, 000 €. 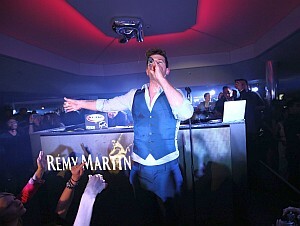 On the same night, Rémy Martin hosted the hottest ticket in Cannes at the renowned VIP Room. Multi-platinum R&B singer, Robin Thicke, Rémy Martin ambassador, hit the stage and performed “Blurred Lines” which is currently the #1 single in Europe, “Let’s Stay Together” and “Lost Without You.” Guests including his wife, actress Paula Patton and actress MillaJovovich sipped on Rémy Martin cocktails while dancing the night away. Prior to his performance, Thicke attended the Global Gift Gala after party with host Eva Longoria at Nikki Beach. For 15 years,Rémy Martin has been paying tribute to the 7th art by partnering with one of the most prestigious festivals on the planet: the Cannes Film Festival. As an official supplier of the 66thedition, the House of Rémy Martin is ready to mount the red carpet once more. From Tim Burton to Nanno Mortetti, to Robert DeNiro, Diane Kruger, Uma Turman, Benicio Del Toro or Jude Law, each President and jury member has affixed their signature on the Rémy Martin VSOP Jéroboams for the past three years. The actors, the directors, the most famous comediennes in the world have contributed in making Rémy Martin VSOP a legend. The Global Gift Foundation, established in 2013 by Maria Bravo and Alina Peralta, is a nonprofit organization focused on making a positive impact on the lives of children, women and families, by bringing together fiscally responsible organizations, resources, celebrities, people of influence and synchronistic brands to have a transformative global impact. « Cape Town Brandy Festival: Thumbs Up!